Workshops - Amazing Normondo the Great! Lectures and Workshops for your Club or Convention. Norm brings magical and educational classes to conventions. Norm has taught at many events over the years. He’s lectured on comedy and magic at Clown Camp University of LaCrosse 9 times, Wizard’s Weekend Magic Convention in Minneapolis 3 times. He’s also lectured at T.Myer’s Magic T- Jam Convention. SAMCON Society of American Magicians Convention in Boston, Florida State Magic Convention, Klamm Bake Magic Convention in Kansas City, the WCA National Convention 8 times and the COAI, SECA & FCM National conventions. Plus many regional conventions. He was a columnist for Laughmakers Magazine for 12 years and was the 1998 Laughmaker of the Year. His ideas and magic tricks have been published in Genii – the Magicians Magazine, The Linking Ring, the Magazine of the International Brotherhood of Magicians. His column of comic magic, bits of business and skit ideas has appeared for over 23 years in Clowning Around – World Clown Association’s Comedy & Clown Publication. He had a series of columns in M.U.M. The Society of American Magicians Publication. Plus, 14 years of articles in the Fellowship of Christian Magician’s magazine. He is a Clean Comedian, M.C., Magician and all around Funny Guy. He’s been a full time entertainer for over 28 years appearing in all 50 states and 6 countries. 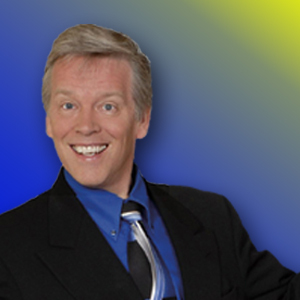 He’s toured Hawaii five times, Paul Bunyan Amusement Park for 12 years of special guest appearances, Knott’s Camp Snoopy Amusement Park 12 times, MN State Fair for 2 years of 6 day runs, and hundreds of Corporate banquets, Schools, colleges and family events. 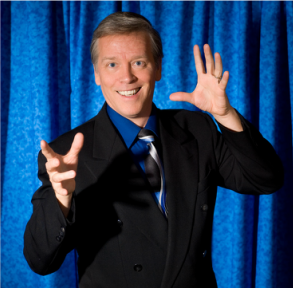 Norm will share his original magic inventions and comedy routines with you. Along with it he explains the comic theory and theatrical methods to make the tricks stronger so your audience will enjoy it more..
January 2016 Norm Lectured and entertained at the Hawaii S.A.M. and I.B.M. meeting. Here is a comment from the S.A.M. President. "Norm made us laugh until we cried with his unique style of comedy magic while lecturing for our magic club here on the island of Oahu, Hawaii. He is without a doubt one of the hardest working magicians out there and we would love for him to return for another lecture and show! We all had an awesome time! " "I try to get one thing out of a lecture. Norm's lecture was all back to back stuff I can immediately use in my show. Fantastic material and great, great tips on how to make improvements to my performance. What a fantastic lecture." "Norm, I've been reading through your lecture notes that I got from you at the Trix In The Stix convention (in England) a couple of weeks ago and I have to say it is fantastic. It's jam packed full of clever, funny, entertaining things for children and family shows. I defy anyone to read through without finding something that can go in their next show. Really well presented too. Top work Norm" - Mr. Merlin - Champion Family Magician - England! Crea8tivity @ Sea - The Educational Cruise for Entertainers. Lecturing at S.A.M.C.O.N. in Boston - Later performed on the evening show. "Our stars presented great lectures by day and some of our best performances ever by night. An amazingly energetic Norm Barnhart lectured on entertainment geared for the younger crowd. It was a creative, balloon-filled session from a pro worth taking notes from." - S.A.M.C.O.N. XI Reviewed in M.U.M. the Society of American Magician's Magazine. 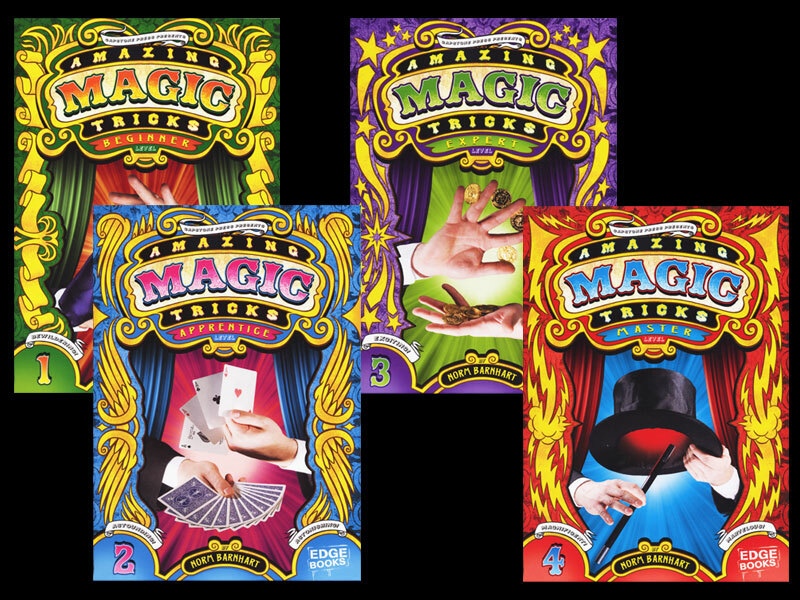 Unique kid show magic as well as strolling and stage magic. Lecturing at SAMCON Society of American Magicians Convention in Boston. Norm Performing after the Champion MN Lynx Basketball Game in Minneapolis. He also performed for the team twice. And of course the 22nd Century Silks Over 88 unique tricks and original routines! Plus essays on comedy writing and magic. "Hi Norm. I did your routine Fictional Friction on the ships last cruise. I have got to say it played very good, wallop the sparks flew, and the adults just fell about. Great routine from a great book! Well done Norm." "I'm using Norm's invisible balloon bit with the thumb tip! It gets gasps from the kids!" "I loved your book! This book is loaded with real working pro material. You can tell Norm works a lot! " "Dear Laugh-Makers friends - I recently got a copy of Norm Barnhart's new book, Cool Kid Show Magic -- it is filled with fun, audience-tested magic. If you don't find at least one or two things to add to your own repertoire, I'd be surprised!" "Norm, I wanted to congratulate you on your 170 page book Cool Kid Show Magic, it is pure gold! Very informative AND inspiring as well. I especially liked that you have placed valuable articles in between the routines. The photographs added well to the explanations and I enjoyed seeing your snapshots of you in action. The font choice and size make it an easy read and I was taking lots of notes as I read along. Job well done and keep up the great work. Full and part time entertainers really need books like these to inspire them to improve their programs. " "Hey Norm! Thanks so much for sending your book! I love it"
Norm with prolific and best selling children's author/illustrator Nancy Carlson at an appearance at Barnes & Noble in Roseville, MN. Nancy read from her latest book and Norm did a magic show that included tricks from his books. Norm is a best -selling children's book author with 10 books from Capstone Press. These books can be found in libraries across North America and around the world. Norm entertains at schools, churches, scout events, and family parties. He also presents educational motivational speaking for Jr. High and High School audiences. He toured with the School Assembly Bureaus for 13 years across the U.S. spending one season doing 14-16 shows a week in N.Y. Massachusetts , Delaware, New Jersey and Pennsylvania, then the next year he toured in California, Arizona Oregon and Washington. Other seasons took his comedy magic and reading motivation presentation across the South or Central U.S. This experience helped him to develop a comic style and timing that caries him to this day.